With computers taking over more of our lives on a daily basis, its great to see the art of writing, doodling, jotting , note-taking (whatever you want to call it) is alive and well. Absolute Promotions is delighted to introduce “the Journal Book” range to our ever-increasing stable of superb promotional product brands. Combine this with the best range of promotional pens Perth has to offer and you cannot help but impress your clients with a great “writing” promotional gift. 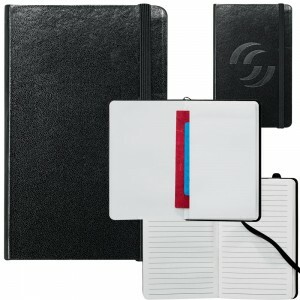 Promotional Notebooks come in many forms, but we all use them to jot down ideas, plans and thoughts and they are the perfect corporate gift for any occasion. 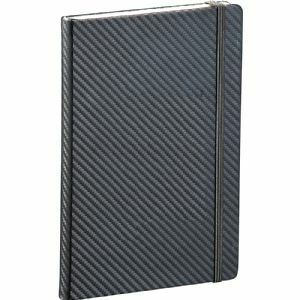 Take this one for instance – the engineering inspired carbon fibre look cover – a great match for that safety award or promotional Christmas gift, this corporate gift would look superb with your logo embossed into the cover.